You are here: Home / Holidays / Christmas / How to Plan the Ultimate Christmas Cookie Decorating Party + FREE Printables! 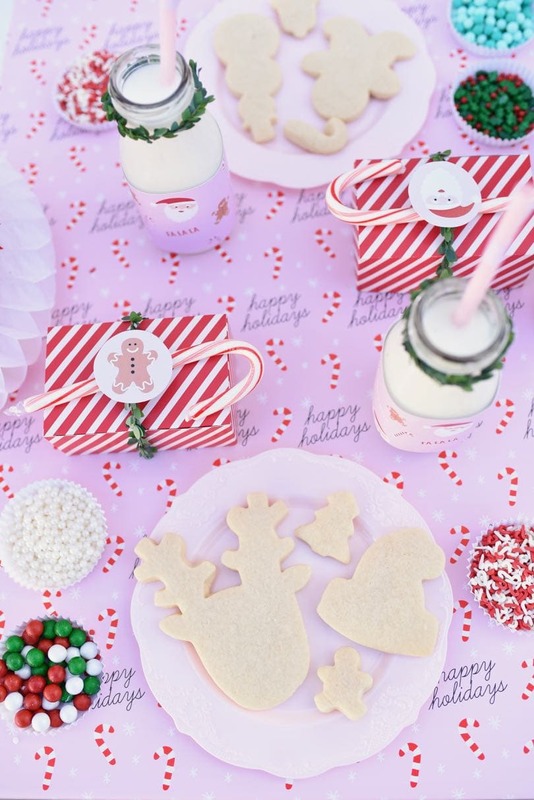 How to plan the ultimate Christmas cookie decorating party + download FREE printables for your cookie decorating party! 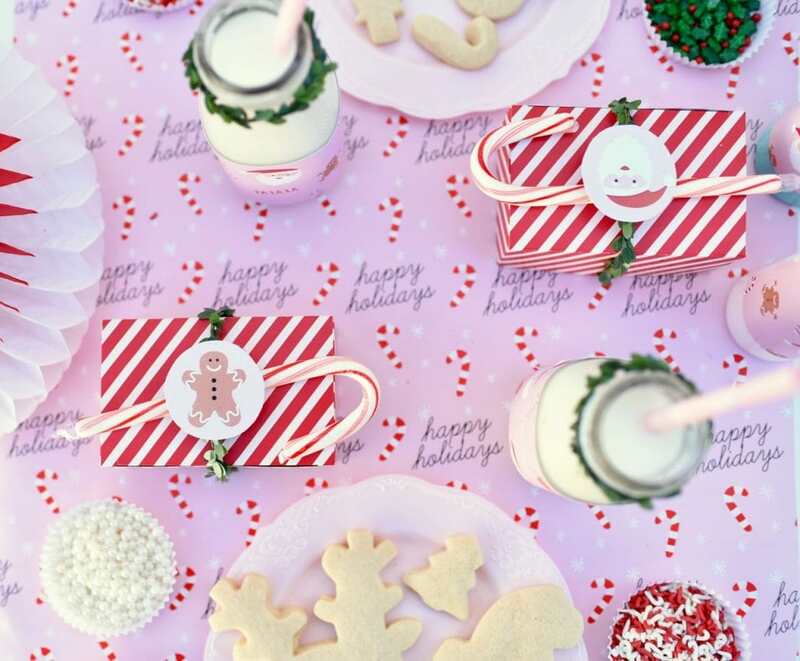 If you’re looking for a fun way to celebrate the holiday season with family and friends, why not host a Christmas cookie decorating party? Who can resist decorating (and then eating!) 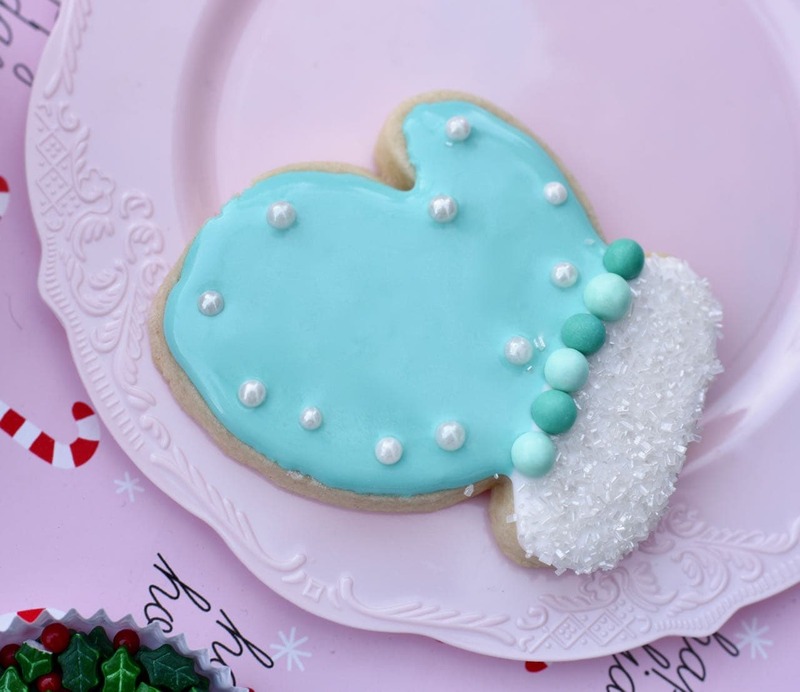 holiday-shaped sugar cookies with royal icing in all the favorite Christmas colors? 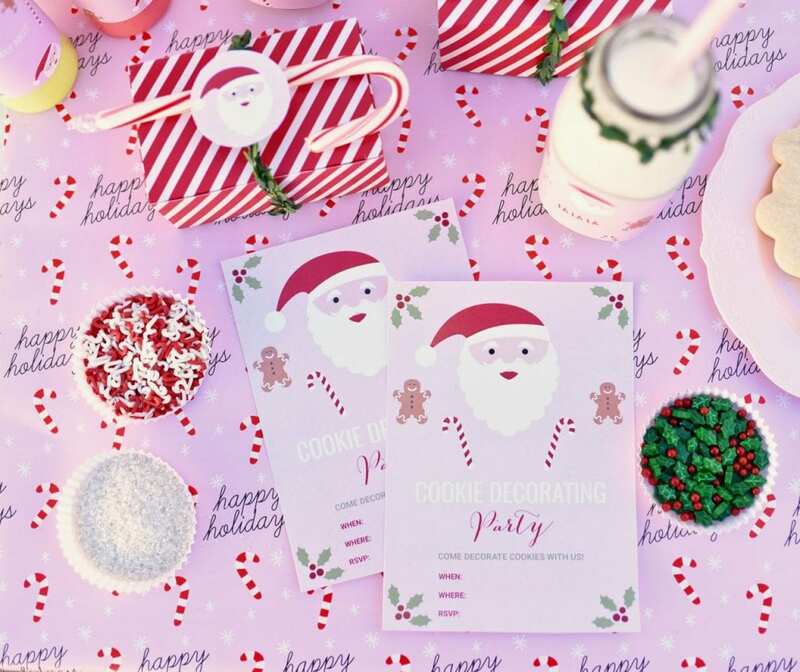 Read on to learn how I planned this year’s party with the help of Office Depot’s Workonomy™ Print and Copy services. 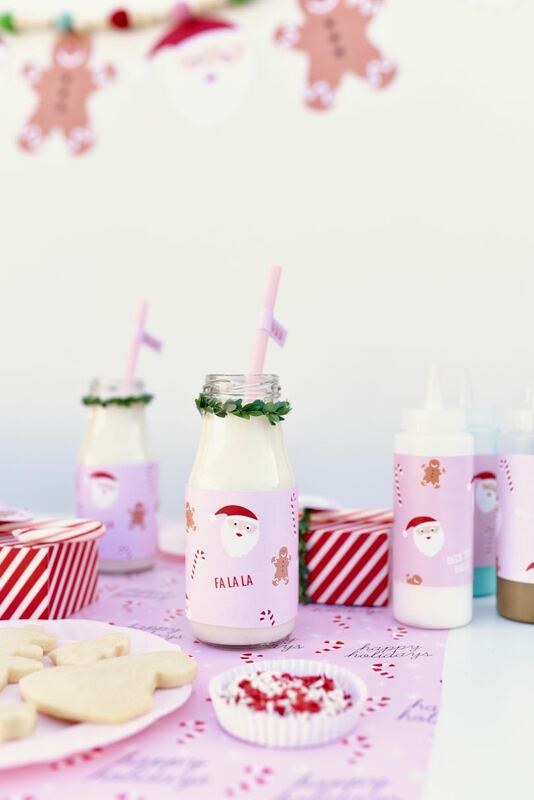 Download the free printables and get some kids Christmas cookie decorating party ideas + tips to inspire your next holiday party! Tip #1 Prep as much as you can before the party. Hosting a party can be stressful and requires a lot of work. To make your life easier, do as much of the work for the party beforehand so you can enjoy it and have fun. Make or buy the cookies, frosting, sprinkles, party paper goods, napkins, utensils, snacks, and more. Set the party table and any decorations up hours before the party so it’s all ready to go when the party is about to start. 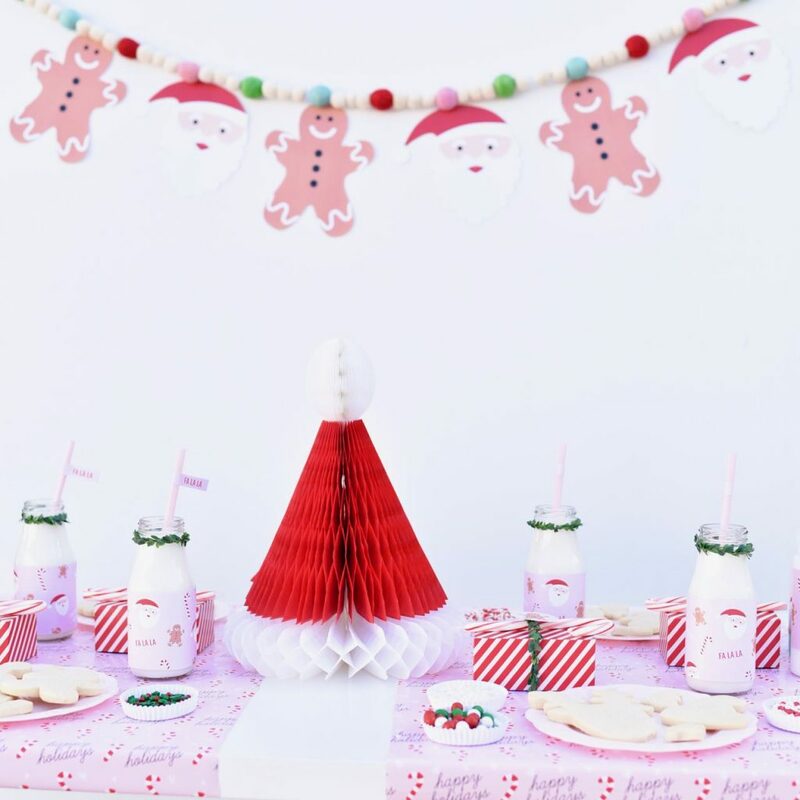 Tip #2 Use FREE printables to make planning your party a breeze. 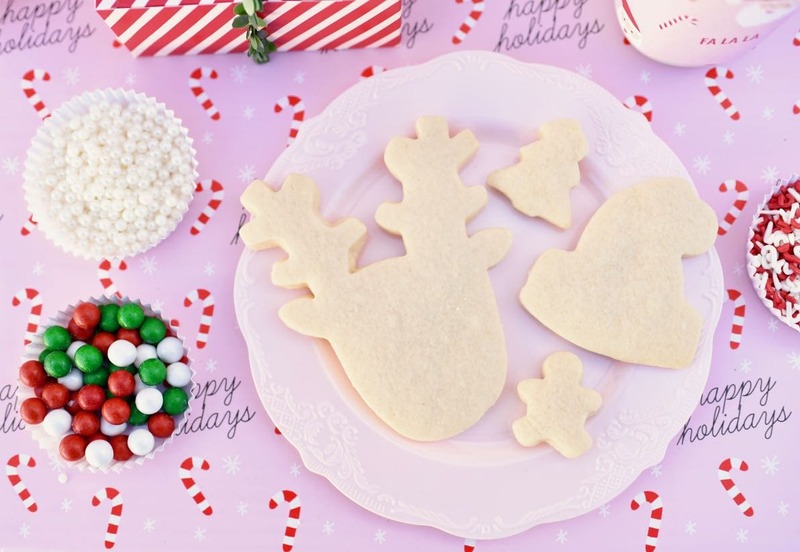 To make planning your Christmas cookie decorating party much easier and give it a cohesive look, use free printables! 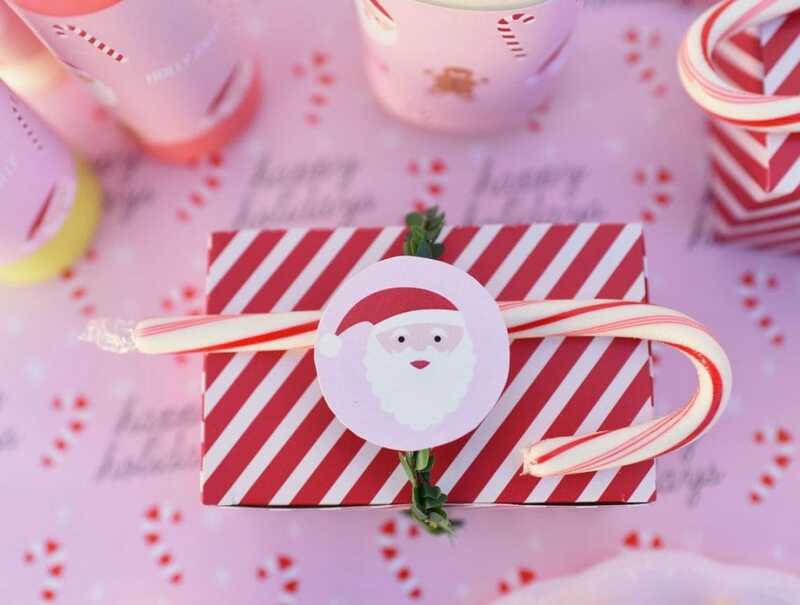 I wanted our cookie decorating party to use red, white, and pink, and to have Santas and gingerbread men used as a theme throughout the party. I made some cute invitations that I just love! I’m sharing them with you, as well as bottle wraps to wrap around glass milk bottles or water bottles, cute round party favor tags, and a Santa and gingerbread man garland that looked adorable hanging behind the party table. For the invitations, just cut out each one, then add in your party details. You can either hand write each address, or use editing software to add them in. 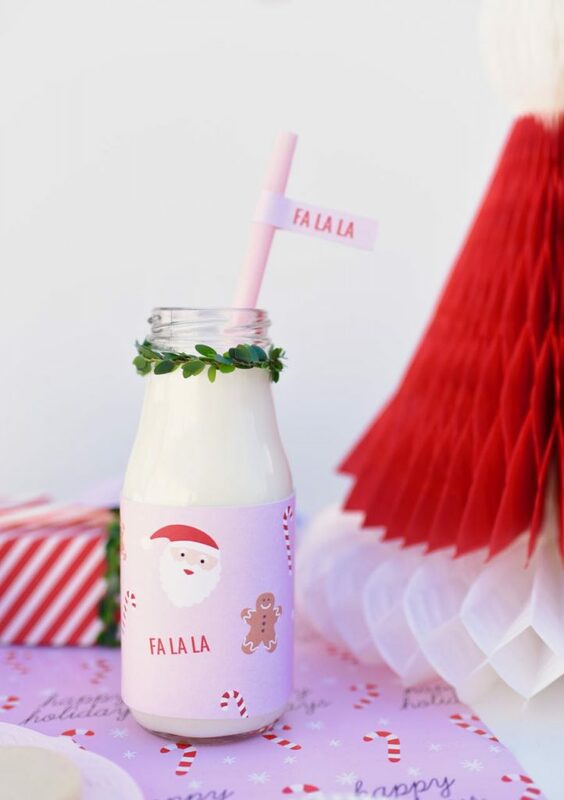 For the bottle wraps, cut out each one, then wrap around your drink and frosting bottles. Secure with a piece of scotch tape. For the favor tags, cut out each one, then place on a party favor. 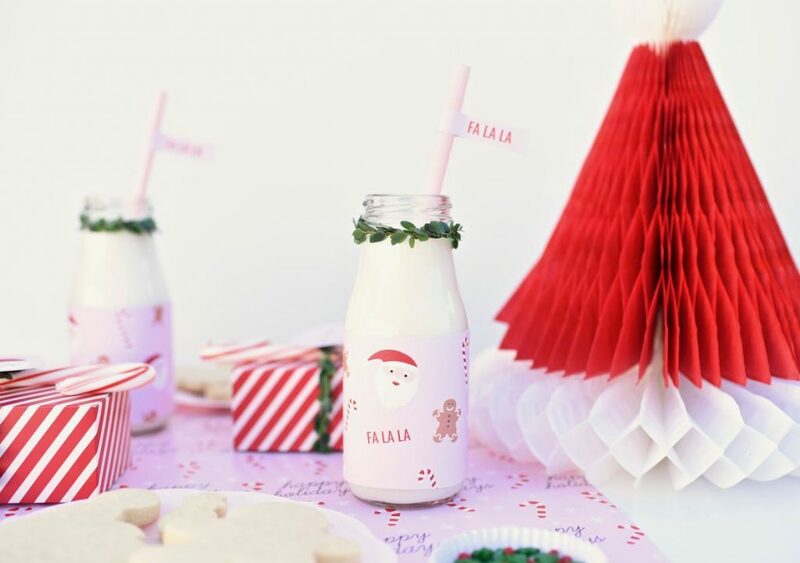 For the garland, you’ll need to cut out some Santas and gingerbread cookies. Just hang them up with wall safe tape above the party table. I had every single one of my party printables printed at the Office Depot Workonomy™ Print and Copy center, like I do for every party and printable I create. My prints and copies always look much better than when I print them on my home printer! The colors always look so bright, crisp and high quality. I love the huge variety of things you can make and do at Office Depot with their Print and Copy services. It’s convenient, too, because you can buy online, in the store, or buy online for in-store pickup. SO convenient for us busy mamas! 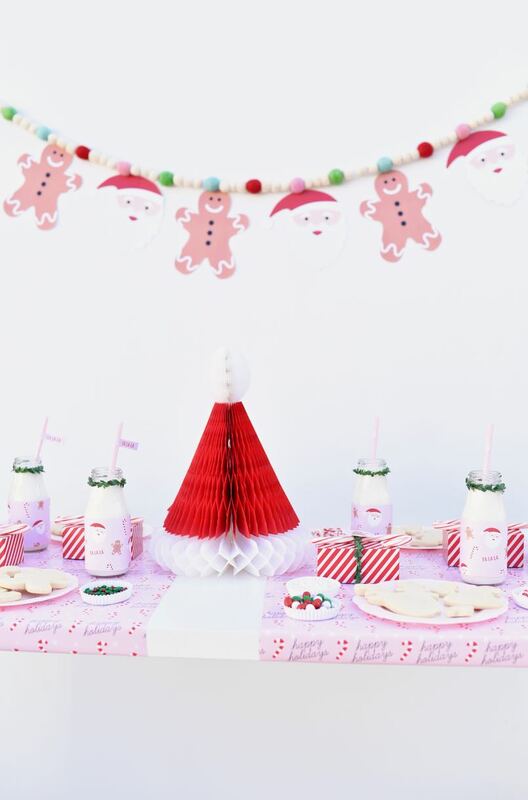 Head over to Office Depot or OfficeMax to make your own fun and easy holiday projects! Kids and adults both like to decorate cookies, so be sure to have at least a few cookies for each person to decorate. I made a batch of royal icing, then split it into seperate bowls to make lots of different colors. 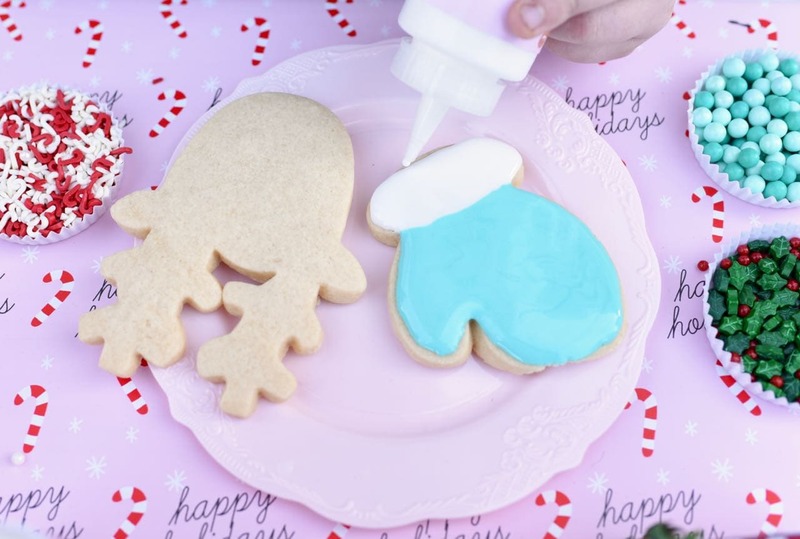 My kids LOVED learning how to decorate with royal icing and their cookies were pretty cute and creative! Make it easy on yourself with a throw-away paper covering for the table. That way when all the decorating is done, you can just pull the ends up then throw it all away. I used wrapping paper to cover our party table. I love that it matched perfectly with my printables! I hope you’ve gotten some ideas for your kids Christmas cookie decorating party. 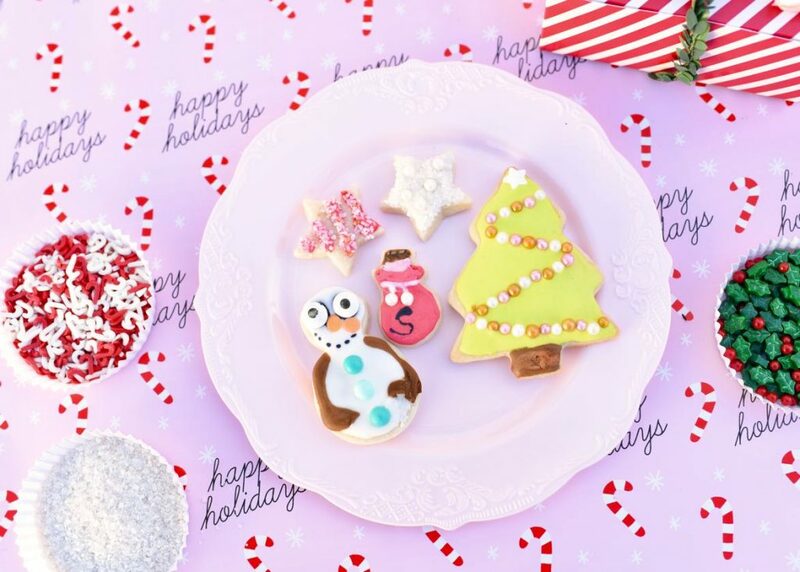 A cookie decorating party really is a wonderful way to share the season with those you love most!